Wat is dit voor site? Wij zoeken de goedkoopste boeken op internet. A Doctor's Home Cure For Arthritisvonden we het goedkoopst op Bol.com voor €10.99. We hebben gezocht in nieuwe en tweedehands boeken. Rechtsonderaan de pagina kan je het boek direct bestellen	via Bol	.com. New, medically and nutritionaly updated edition of the classic million-selling arthritis self-help book. This was the original diet that Marguerite Patten followed (author of our 2001 hit, Eat to Beat Arthritis). Without this book I would not be walking today Marguerite Patten, O.B.E. This book has cured arthritic pain for millions of people worldwide. It's also quite an old text now so we have responded to the requests of readers and sales reps suggestions by updating the book's medical and nutritional advice so that it's totally authoritative and also the recipes are more palettable for today's arthritis sufferer. 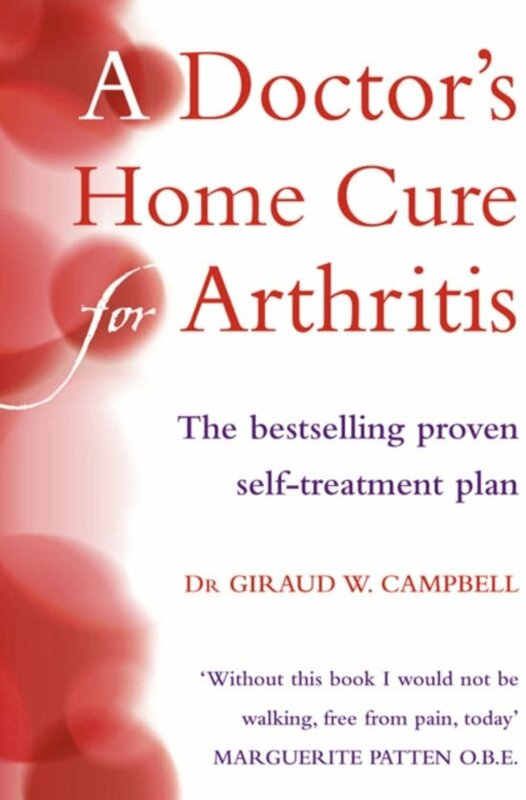 Doctor's Home Cure for Arthritis is a seven day action plan designed to provide relief from arthritic pain - and in the longer term to heal arthritis. Based on dietary change, the programme eliminates many processed foods, (includeing caffeine and alcohol) and replaces these with foods of special benefit to arthritis sufferers. Now fully revised by respected Harvard nutritionist Jeannette Ewin Ph.D., the book contains totally updated: - New information on supplements, including glucosamine and fish oil. - Delicious new recipes - and no more problematic brain-stem/offal and unpasteurised products. - Up to the minute information about the new prescription drugs and medical treatments.